September is right around the corner and school is back in session, so does that mean we’re in fall mode? I don’t want summer to leave! 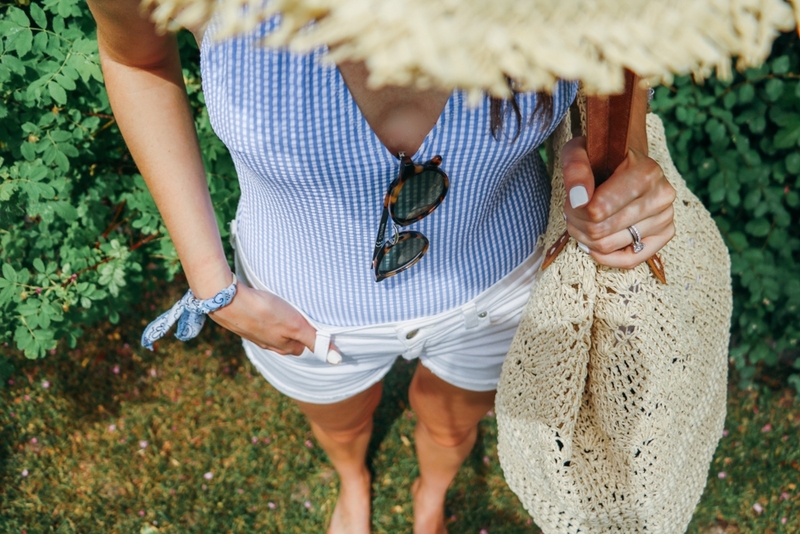 Trying to savor the last bit of the long evenings, backyard bbqs and warm weather clothes as long as possible. 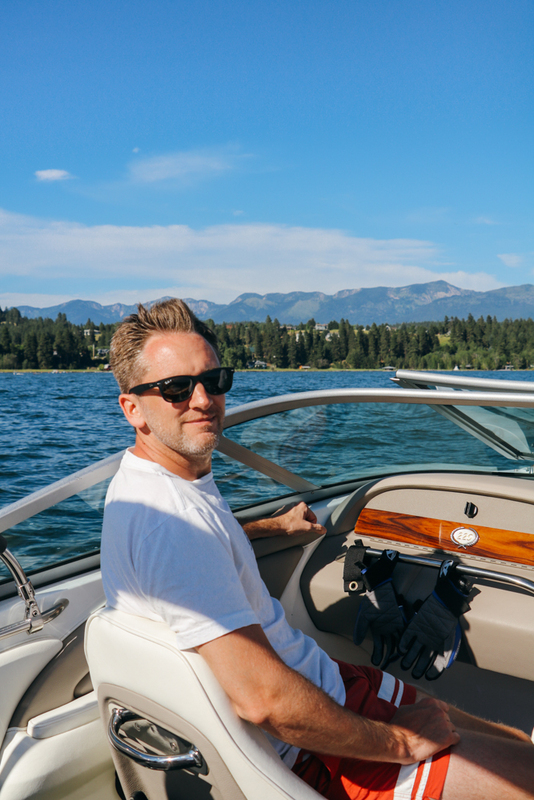 Yet as wonderful as all those things are, my true summer love is time spent near the water, and my heart belongs to Flathead Lake in northwestern Montana. I've talked a little about my love for my home state in the summer months (here, here and here) but nothing compares to the feeling I get of spending a day on Flathead with the crystal clear water below, a view of the Mission Mountain Range ahead and the state's signature Big Sky above. It's my favorite place on earth and I long for these laid-back days all year long. It's my "place". 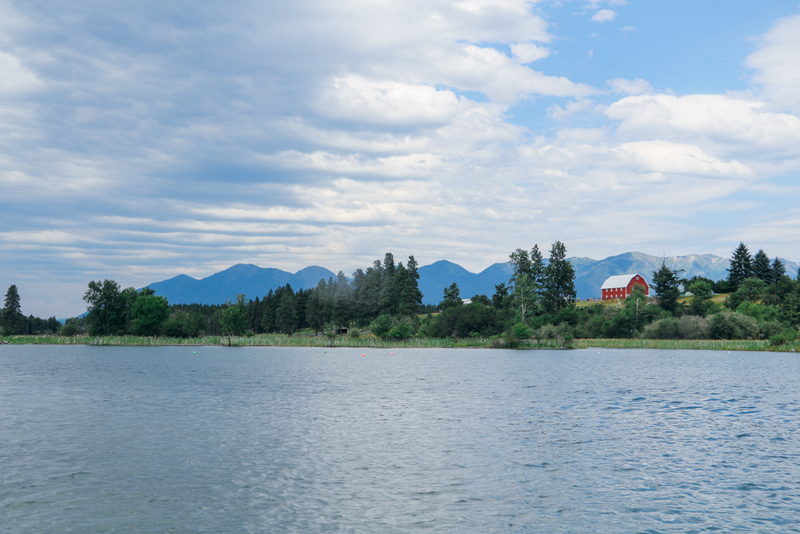 "Even in a state as naturally blessed as Montana, which has more than 3,000 lakes, Flathead has distinction. It runs longer than a marathon - it's the largest freshwater natural lake west of the Mississippi - and ripples with water of gemlike translucence. 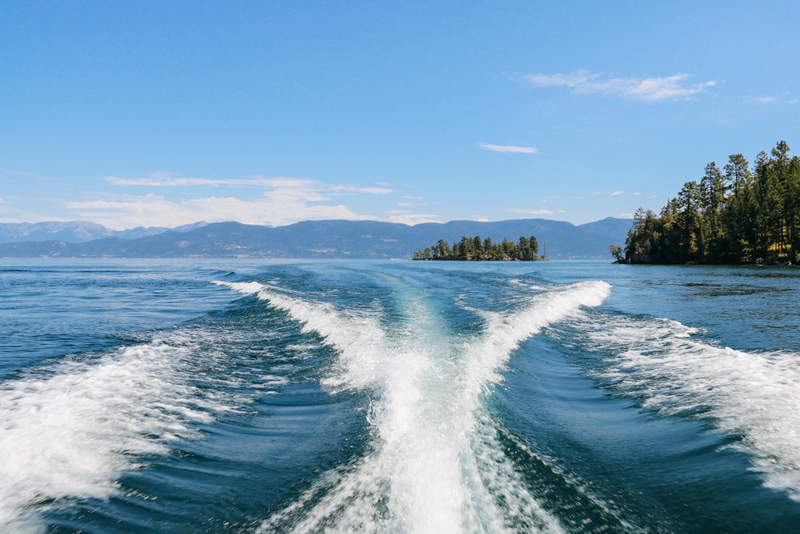 Even in late August- when the coldest lakes in the Mountain West lose some of their harshness- Flathead's water is bracing enough to revive a dead man." There's zero humidity, temperatures tend to stay in the 80's during the day and there's often a light breeze of fresh mountain air. On a lake this size, you can spend the whole day boating and be almost alone. There's also the 10pm sunsets. And the quaint lakeside towns. The golden fields. The roadside stands selling plump Lambert cherries. The view of Glacier National Park's snowcapped peaks in the distance. The silence. The serenity. When I'm there it feels as though the world stands still. The days are longer - in a good way - and I appreciate life's simple pleasures more. With summer nearing the end and schedules ramping back up, I want to savor these moments as much as possible. Descriptions and pictures don't do it justice, but I'm happy for that. It proves it's just that good and somewhere you have to experience for yourself. I can't recommend this corner of Montana enough. It's perfect. It's my place. Where's yours?